Rain or shine there are hundreds of interesting activities for the visitor to see and do in west Cornwall. If you are looking for high octane adventures or just want to kick back and relax, then there is something for everyone. Newlyn is England’s largest fishing port and has a busy fish market at the edge of its working harbour. In the late 19th century, painters flocked to the town and became part of what is now known as the ‘Newlyn School’. The Newlyn Art Gallery today holds exhibitions of modern art. Further along the coast, Mousehole is a quaint fishing village with an attractive harbour right at its heart. Every December, thousands descend on Mousehole to see the Christmas lights. There are numerous little coves and valleys on the south coast between Mousehole and Land’s End. Lamorna, Penberth and Porthcurno are all worth a visit. At Porthcurno, you will find the Porthcurno Telegraph Museum which shows how communications shrunk our world as well as the Minack Theatre, built, literally, in the cliffs. Land’s End is a popular tourist destination and a place of stunning beauty. A few miles up the coast is Cape Cornwall, the only cape in this country. Whether you are interested in art, shopping or lazing on a golden sandy beach, St Ives is one of Cornwall’s most popular holiday resorts. Home to the Tate Gallery with nationally-significant exhibitions, St Ives remains a magnet for artists. Helston, to the east of Marazion, is home of the famous Furry Dance every May. The town itself is worth exploring. Heading south from Helston takes you past RNAS Culdrose, home of the air sea rescue helicopters. There is also the Cornish Seal Sanctuary at Gweek, who rescue more than 40 seal pups every season. The Lizard is Britain’s most southerly point and it was from here (Poldhu Cove) that Marconi first received transatlantic wireless signals and the first satellite television pictures were received by Goonhilly Earth Station. Truro is the most south-westerly city in the UK and the main shopping centre in Cornwall. Towering over the centre is the Victorian Gothic cathedral. 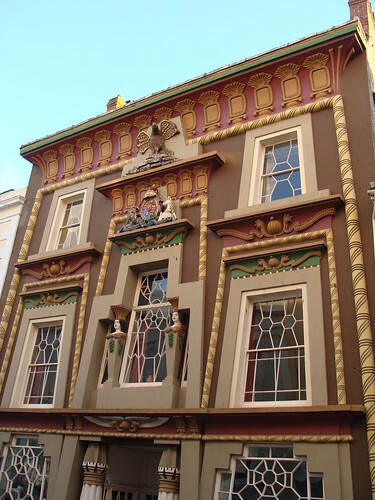 The city has many fine streets of houses and is also home to the Royal Cornwall Museum, with many interesting items such as an unwrapped mummy! Falmouth is an interesting town and home to the National Maritime Museum with its wide range of exhibits about our marine heritage. 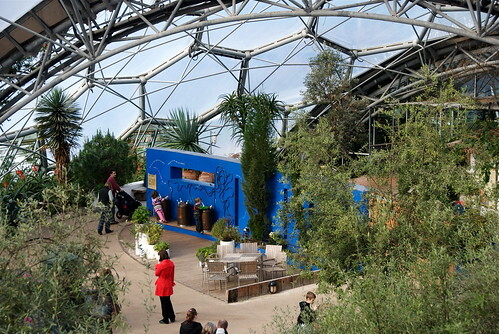 Since opening in 2003, the two giant biomes at the Eden Project and its surrounding microclimate have captured the hearts and minds of millions of visitors. If you have any interest in plants or nature, a visit to Eden is essential. It also hosts regular events and concerts in the summer months. Just a short hop from Land’s End airfield or by boat trip on the Scillonian III, the Scilly Isles are a true paradise on our doorstep. A world apart from mainland Britain, you cannot fail to be captivated by the beauty of these islands. Last and most definitely not least, the coast paths and byways around Marazion will give you hours of endless walking pleasure. With so much to do and so much to see, you will look forward to a great night’s sleep at Glenleigh House.